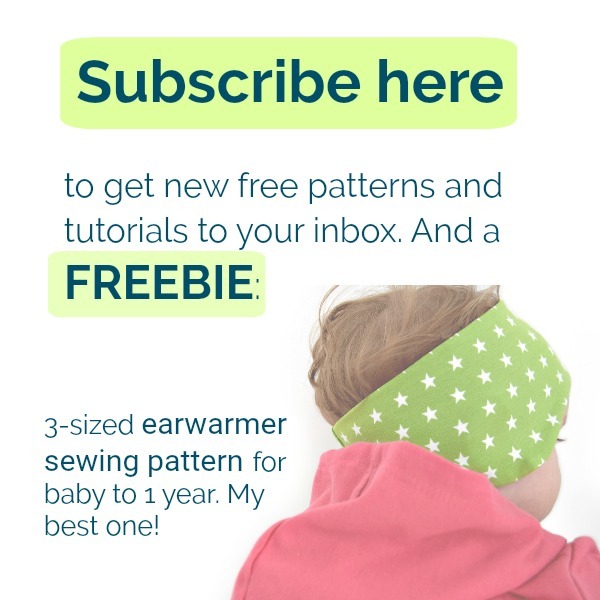 Interested in learning games for toddlers? 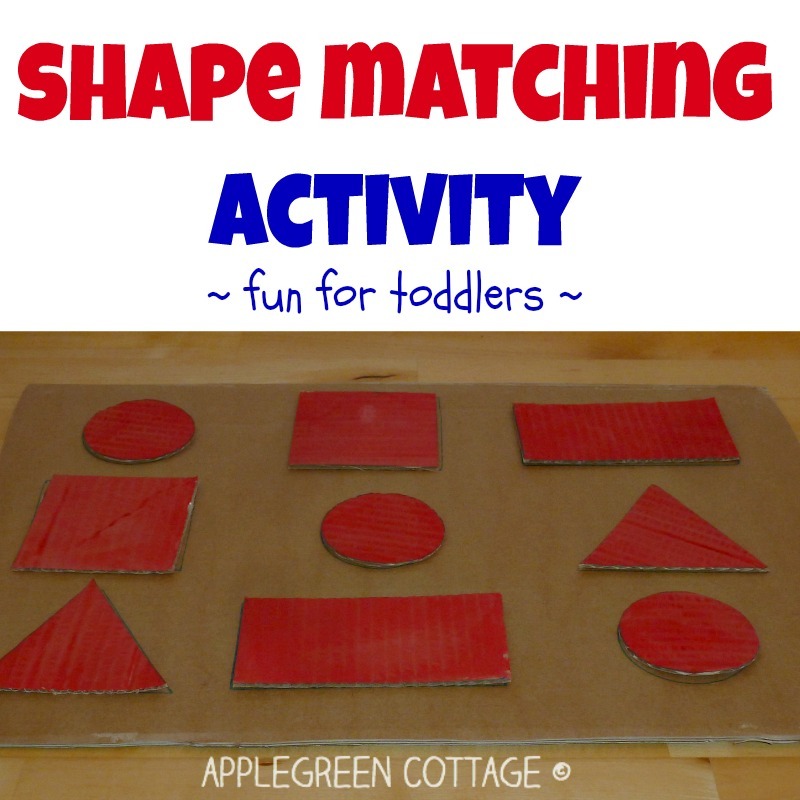 Here is an easy one that will be fun and useful to your kid: a DIY shape matching activity. 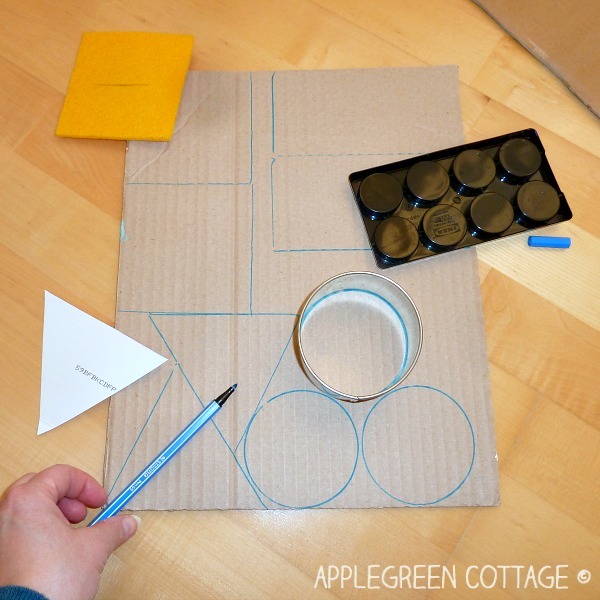 No shiny expensive materials, just cardboard and colors. 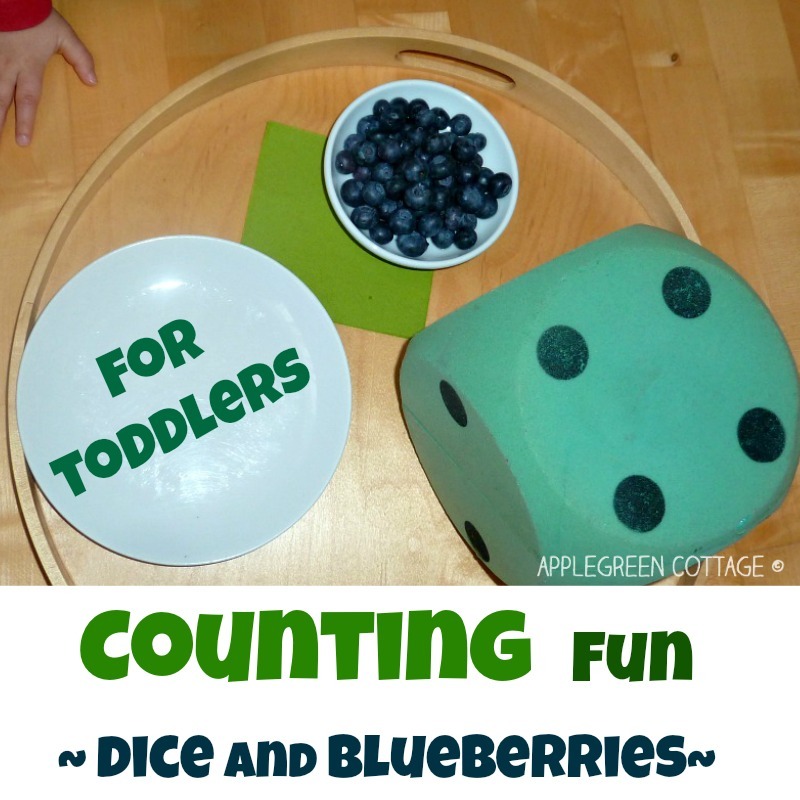 Let the fun math for toddlers begin! 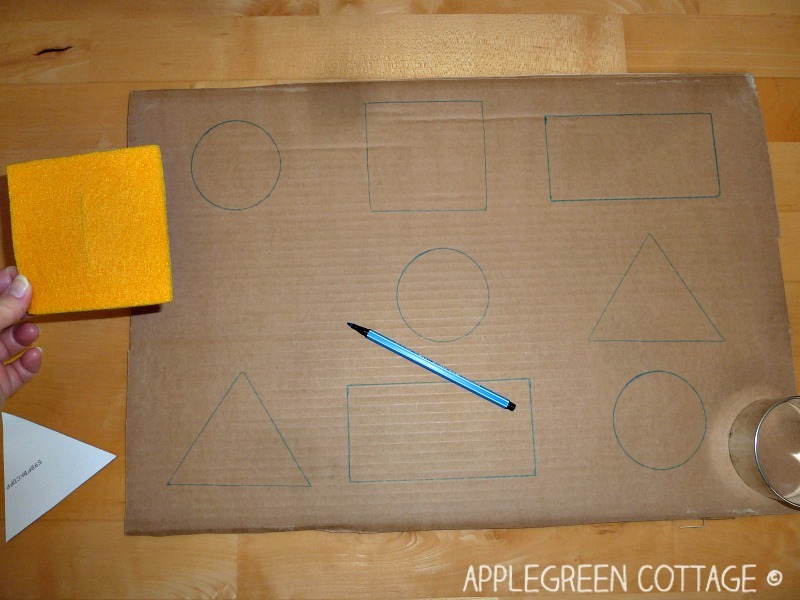 2) Trace these shapes on a large piece of cardboard. I made three circles, two squares, two triangles, ... you get it. It's up to you how many times you repeat the same shape. 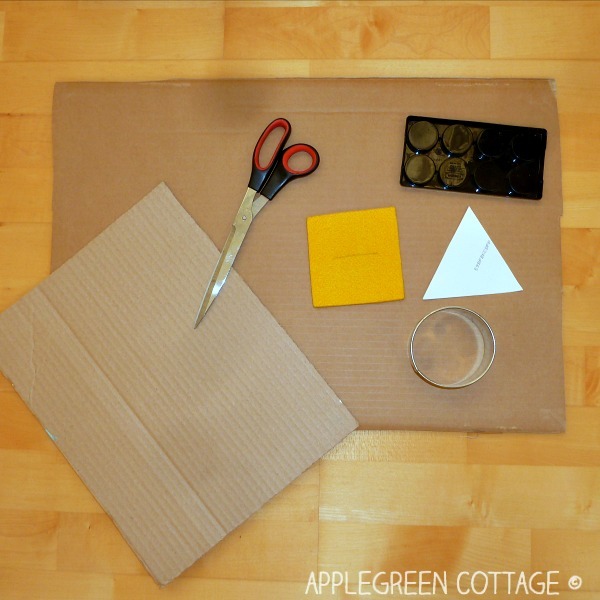 3) Trace them again, on a different piece of cardboard - you'll cut these out. I used regular cardboard that would otherwise have ended up in trash. 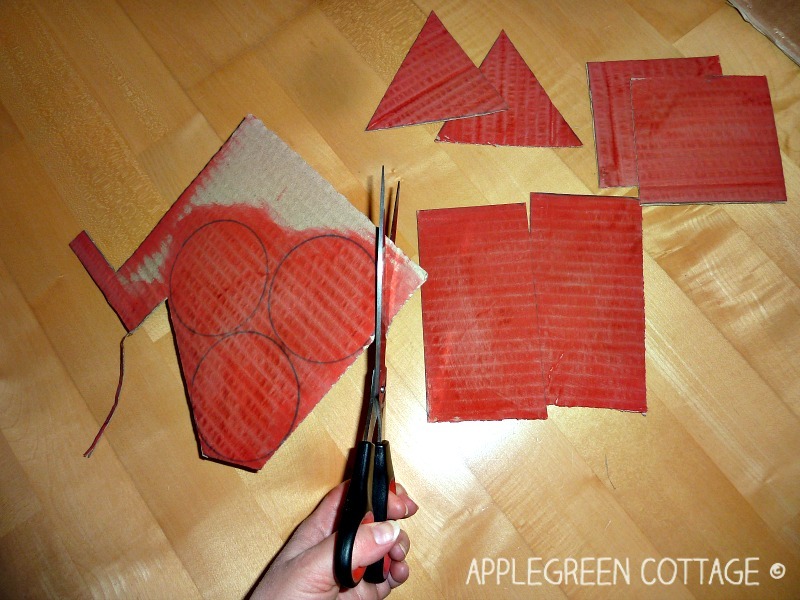 4) Paint the shapes you cut out - I used my kid's red watercolor. 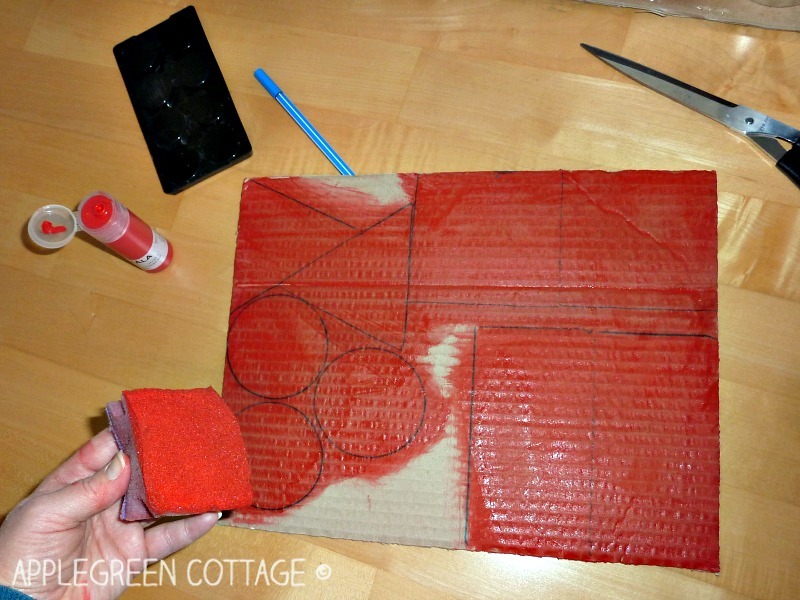 To make it even easier and quicker, I used a sponge instead of a paintbrush - and it was done in less than a minute! It's good to have them painted because you want to make those shapes stand out once they are arranged on the board. 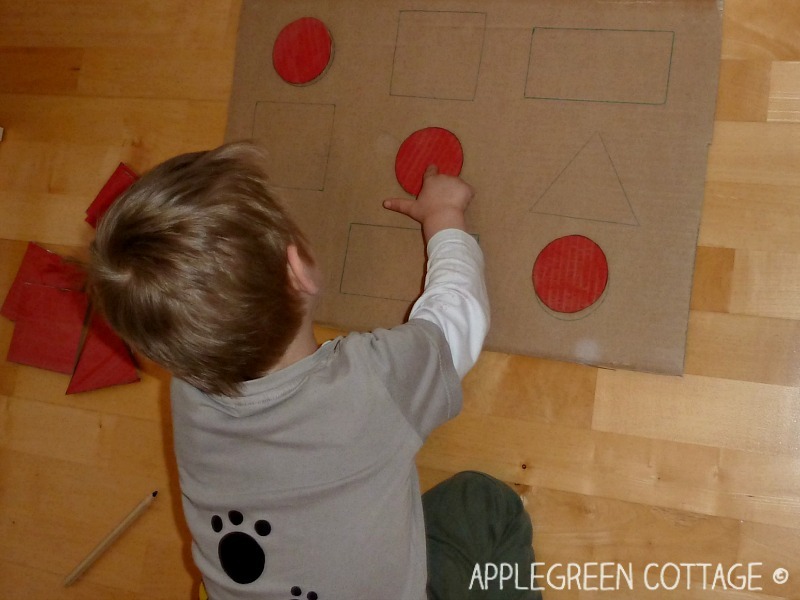 Prepare: I placed the board on the floor, arranged the cutout shapes beside it and invited my child to play a new game. Curious to see what was waiting for him this time, he was immediately beside me, soaking in everything he saw, like a little sponge. Is this a triangle or a circle? Where do you think goes this one? Is it the same shape? 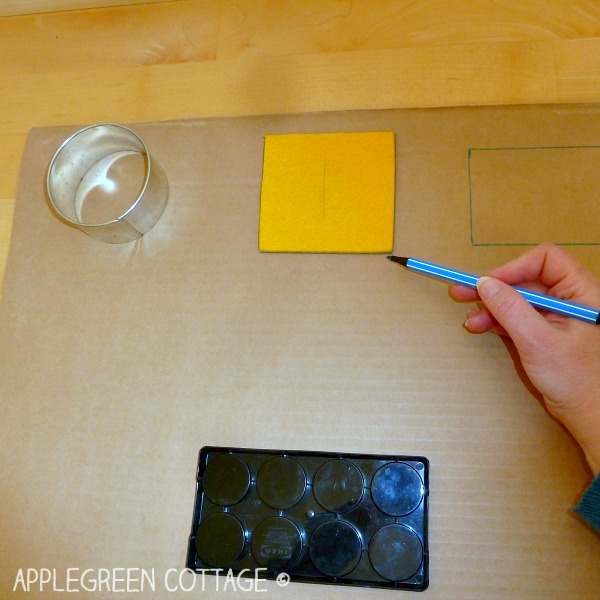 You can place a piece or two on the board, your child will quickly realize what it's all about. 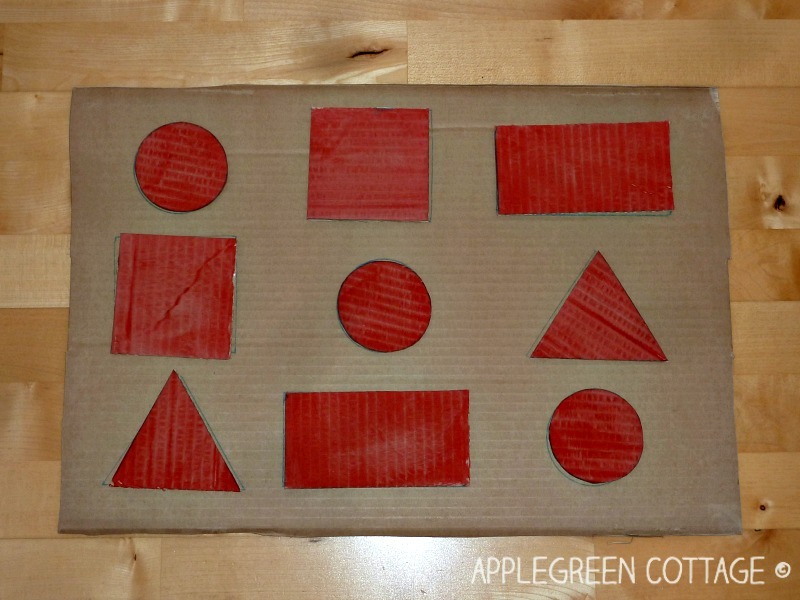 ADDITONAL BENEFITS: Using shapes like this is also great for fine motor skills and hand-eye coordination. 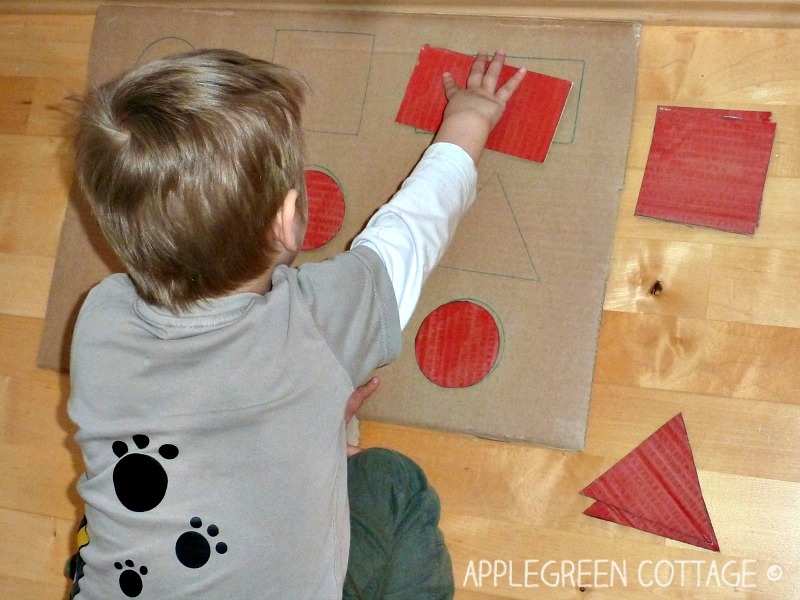 Just observe how much concentration is required from your toddler to keep those pieces exactly aligned with the traces on the cardboard! Turns out I might have easily used additional shapes as this was really easy for a nearly three-year old. Next time I'll add at least an oval, pentagon, hexagon, a rhombus and anything else that comes to my mind. Want to give it a try? 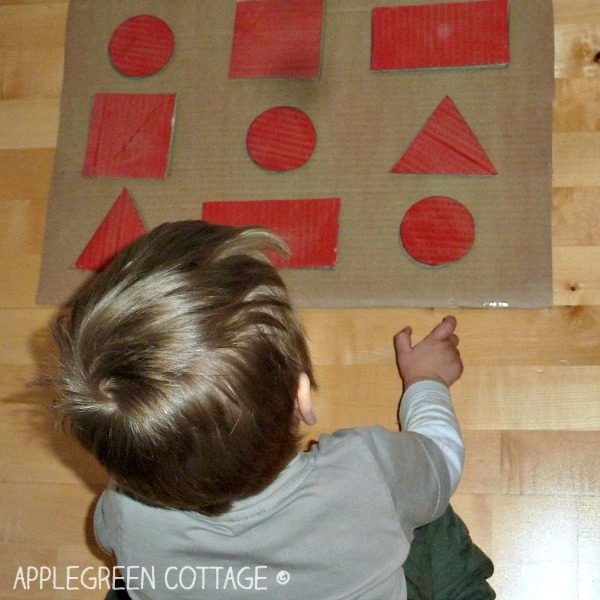 Go for it, you can make it in less than 20 minutes, and then reuse the board infinitely to enagage your toddler in a meaningful but fun math activity!